Every quarter Cotroneo’s Wine and Spirits in White Bear Lake is kind enough to let me take over a section of the store. This set up is called, creatively, “Jason’s Picks” (I came up with that one) and consists of ten wines that I select around a particular theme. We kick off the quarter with a big tasting of all ten wines. More on this quarter’s picks at the end of this essay, but for now I want to focus on something I call ‘thematic drinking.’I talk quite a bit during classes about the context of drinking one bottle of wine. That if you are in a good mood, your brain is activated and positive, and if the surroundings are choice, the wine will simply taste better. Add to that the shifts that wine can take based on temperature, stemware, barometric pressure, elevation, and (according to what some believe) the constellation the moon happens to be in at that moment, and you get a set of variables that make wine shapeshift constantly. This isn’t to say all wine shoots off in random directions on random days, or that there aren’t quality levels to the wine. Of course, there are. There is really bad wine out there, unpourable junk, that is best used for frat parties and furniture stripping. There are moderately good wines, without faults but without personality, that just sit there waiting to be asked to the dance. Then there is a huge swath of, for lack of a better term, pretty damn good wines. The middle. The grey mass. The category that most wines at a good wine shop fall into. Lots of good, lots of stories, lots of history, lots of family, lots of happiness. Above that hover The Greats, the wines of exception, the wines that make you pause, back up, reapproach slowly and fall into a glorious pit of aromas and flavors that satisfy some deep part in the soul. Way above those are the Holy Grail Wines, the wines that become mile markers in a life of wine enjoyment. The wines that transcend description, that are impossible to comprehend much less believe they simply came from grapes on a plant somewhere. The Holy Grail wines are few and far between. I’ve had maybe ten in my life. Maybe. So let’s get back to context and how it plays into wine enjoyment. A line up such as this quarter’s “Jason’s Picks” contains ten wines. Any of them on their own should make for wine happiness. But by connecting the dots on the theme of the night, they all elevate each other. This is thematic drinking. This quarter’s theme is “Well known grapes from unexpected places.” For instance, if I say “Tempranillo” you’ll probably think Rioja. But I picked one from Greece and one from Argentina. If you research “Nero d’Avola” you’ll read all about Sicily, but my selection is from Australia. The theme is not geographical, it’s not based on grape variety, and it’s not based on the style of the wine. The common thread between the selections is simply they are outliers within their place of origin. 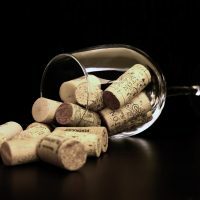 By going into the kickoff tasting with the theme in mind, and building the structure of the discussion from that idea, the wines will be shown in the proper context of their peers, and as a result will be even more enjoyable. We saw this with the Q3 2018 tasting last July, themed on the idea of the Mediterranean Basin from Italy eastward. We focused on two wines each from five different producers, covering the history of wine from Lebanon to the toe of Italy. It was fantastic. And for the Q4 tasting, we’ll cover what happens when you take a grape variety out of its element, away from home, and immerse it into a new culture. Will the Australian Nero d’Avola show any signs of its Sicilian heritage? Will the Italian Carmenere speak with a French accent? Can Pinot Noir show as it should when it’s from upstate New York? That’s the fun of the theme. Reminder: I have zero skin in the game. 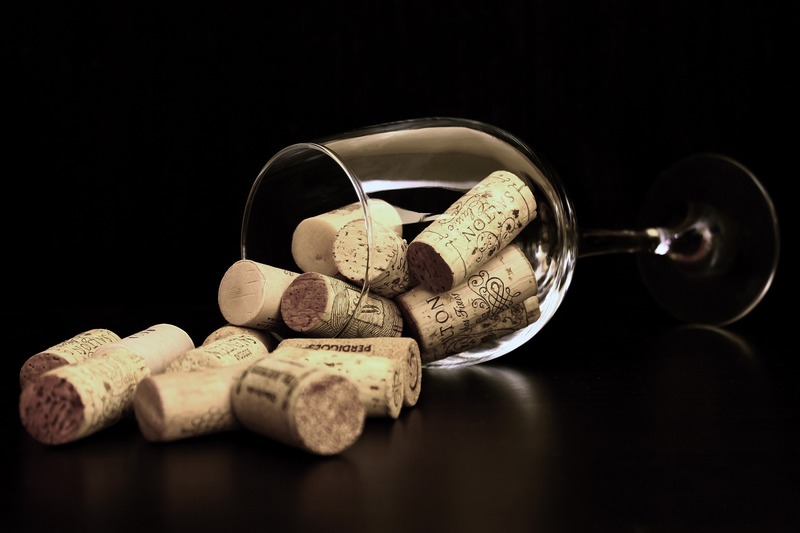 These wines are suggested because they are great fun to drink, will make you think about the wider world of wine, and ultimately will give you pleasure. With every wine, I list “What this is” and “What to do with it,” the two most important questions in the world of wine. By giving that tidbit of info, along with a personal stamp of approval, I hope you seek these out and enjoy them. Let me know! All the wines below are available at Cotroneo’s in White Bear Lake (651-429-7551) and various independent wine shops around town. You can always request them as a special order from your favorite shop, just allow some time for them to procure it. You will NOT find these at the likes of Costco, Target, Trader Joe’s, Sam’s Club, or Total Wine. These are under the radar gems that don’t get enough play for the likes of the national retailers to pay any attention to them, and that is a good thing. Sauvignon Blanc from Slovenia! Say what? Put down the New Zealand and try out the awesomeness in this. Great with freshwater fish dishes. Try with pan fried trout or walleye. The amazing grape of the Loire Valley, grown on old vines in northern Sonoma! Textured but bright, Chenin Blanc is perfect with roasted squash and slow cooked chicken. 100% Tempranillo, the great grape of Spain, produced in northern Greece as a rosé. Enjoy with Greek cheeses, olives, and good olive oil with high quality bread. Proving that Argentina is not just for Malbec, comes this gem from the high elevations of the Uco Valley. Argentina meets Spain: try with slow roasted beef or grilled bone in pork chops. Pinot Noir needs cool and extreme conditions to make great wine. Little wonder that Northern New York is perfect! This wine is pretty high toned, so have with lighter dishes or even salads with a touch of protein. Pinot Meunier is best known as the main grape in the real deal region of Champagne. Earthy and spicy, try this with beef or pork tacos. It can handle bold flavors. Rarely do you find Nero d’Avola outside of its native Sicily. Well adapted to the hot climate of South Australia. Enjoy gallons of this with barbecue! Totally gulpable. A tiny plot of the famous Carmenere grape (best known in Chile) is planted in far northeastern Italy by Stefano Inama. A serious wine with strong flavors and muscle. Enjoy with braised short ribs over risotto. Syrah, Grenache, and Mourvedre (the famous “GSM” blend) of the southern Rhone have found a home in the heart of Tuscany. 250 degrees. Beef chunks, tomato sauce, rosemary, tomatoes, basil, salt, pepper. Roast for 3 hours. Italian pot roast. Perfect. Tokay is the great Hungarian grape used to make legendary dessert wines. Equally good, but far cheaper, is this one from down under! This is liquid heaven in a glass. Have on its own, or at the very most a little cheese on the side. Take your time with it! If you want this list as a PDF you can find it here, and if you’re a retailer in Minnesota and want to put these up in your store let me know and I’ll get you a set of the shelf-talkers.